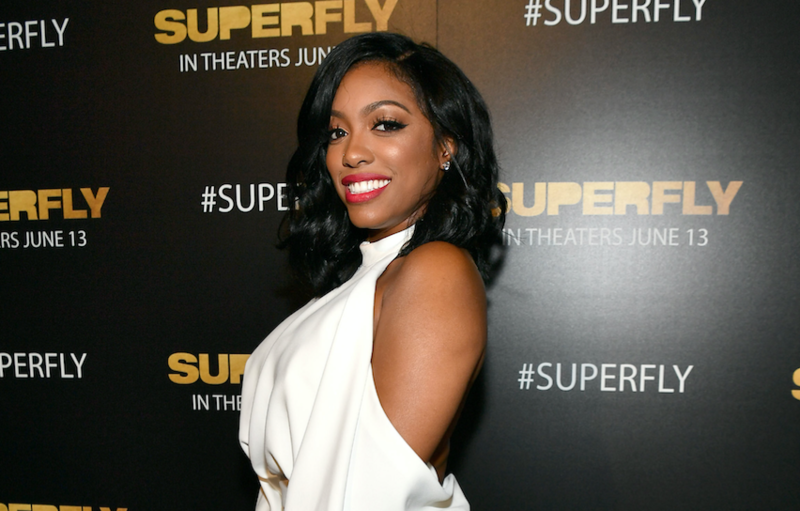 'RHOA' Star Porsha Williams Is Pregnant With Her First Baby! Pregnant ‘RHOA’ Star Porsha Williams May Have Accidentally Revealed Her Baby’s Gender! Did she just accidentally spill the tea?! Earlier this week, Real Housewives of Atlanta star Porsha Williams announced that she is pregnant and expecting baby No. 1 with her boyfriend and baby-daddy-to-be Dennis McKinley — and now, the reality star just may have accidentally revealed the gender of her unborn child in a comment on Instagram. Porsha left a comment on beauty mogul Ming Lee’s Instagram photo of four baby girls napping on salon hair overhead dryer chairs. According to a screenshot obtained by The Shade Room, Porsha left a comment where she hinted that her baby is going to be a girl. “OMG I wish my baby was out !! I would have her right there getting done up LOL,” Porsha wrote. It seems like Porsha cannot wait to be a mommy, and the 37-year-old revealed during an interview with People that her journey to motherhood hasn’t always been an easy one. “When I found out I was pregnant, I was excited [but] I had mixed feelings. The other feeling that I had beside excitement was fear,” the reality star began. During the time of the interview, Porsha had yet to attend her first doctor’s appointment for the baby. However, the longtime Bravolebrity was looking forward to the much-needed confirmation that her bundle of joy was healthy and growing! “Going into the first appointment and being able to see the baby and hear the baby and know that the baby is fine, then I can really wrap my mind around actually becoming a mommy,” she explained. We have no doubt that Porsha will be an amazing mama to her first child and we’re so excited for her! As for her baby daddy? Well, he’s equally as excited. In fact, Porsha’s partner, Dennis, has been nothing but supportive. “The thought of me getting that blessing after praying for it for so long and getting that blessing with someone who is just as excited as me — it’s Dennis’ first child, just like me — and it’s something we’ve both always wanted… it’s like a dream come true,” she said. We can’t wait until baby McKinley arrives — let the countdown begin!